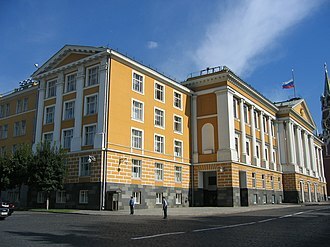 Hero of the Russian Federation (Russian: Герой Российской Федерации) is the highest honorary title of the Russian Federation. The title comes with a Gold Star medal, an insignia of honor that identifies recipients. The title is awarded to persons for "service to the Russian state and nation, usually connected with a heroic feat of valor". The title is bestowed by decree of the president of the Russian Federation. Russian citizenship or being in the service of the Russian state is not obligatory. The title was established in 1992, and has been awarded more than 970 times since then, including more than 440 times posthumously. 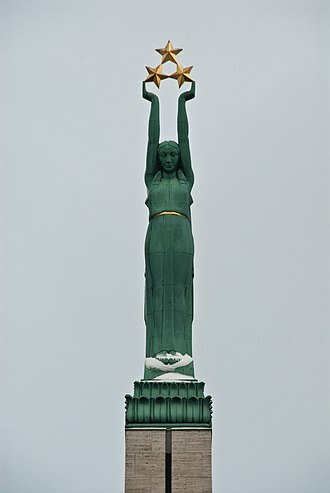 The title "Hero of Russia" is a successor to Hero of the Soviet Union (Russian: Герой Советского Союза), which was established by Resolution of the Central Executive Committee of the Soviet Union of May 5, 1934. The corresponding Gold Star is derived from the Soviet design, created by architect Miron Merzhanov and approved by Decree of the Presidium of the Supreme Soviet of August 1, 1939. Following the dissolution of the Soviet Union in 1991, Russian Federation under president Boris Yeltsin retained a modified award by Law of the Russian Federation No. 2553-1 March 20, 1992. 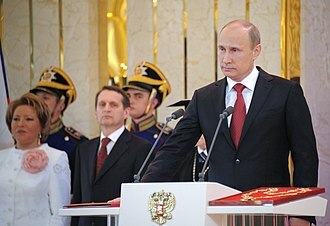 Article 71 of the Constitution of Russia permits titles, orders and medals to be presented by the government, and Article 89 gives the Russian president power to create state awards. This is the highest honour that can be presented by the Russian president to a citizen. The title of Hero of the Russian Federation can be awarded for a heroic deed in the service of the state. It can be awarded to both civilian and military personnel. The title can also be awarded posthumously if the heroic act costs the recipient his or her life. The President of the Russian Federation is the main conferring authority of the award. The insignia of the title of "Hero of the Russian Federation" is also called the "Gold Star" medal (Russian: медаль "Золотая Звезда"), its design is similar to the Soviet variant. The "Gold Star" medal is a gold five-pointed star with smooth 15mm dihedral rays on the obverse. The otherwise plain reverse bears the prominent relief inscription in 2mm high letters "HERO OF RUSSIA" (Russian: "ГЕРОЙ РОССИИ") at its center, in the upper portion, the award serial number in 1mm high numbers. The insignia is secured to a standard Russian square mount by a ring through the suspension loop. 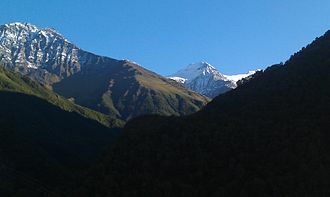 The mount is covered by a silk moiré tricolour ribbon of white, blue, and red. The insignia of Hero of the Russian Federation is worn on the left side of the chest above all other medals and decorations. It is always worn in full size; there is no ribbon bar or rosette that can be worn in lieu of the medal. When worn together with Soviet-era hero titles (Hero of the Soviet Union, Hero of Socialist Labour), the Russian title has precedence. Guards Lieutenant Colonel Anatoly Lebed, awarded in 2005 "for courage and heroism in the performance of military duties in the North Caucasus". The majority of the early recipients of the title fell into two categories: participants in the Chechnya conflicts or cosmonauts. On some occasions, the person who was awarded the title was killed while in the course of duty, such as Major Denis Vetchinov, who was killed early in the 2008 South Ossetia War. This includes those killed in battle as well as assassinated government officials. An example of such a recipient was Akhmad Kadyrov, the former governor of Chechnya. 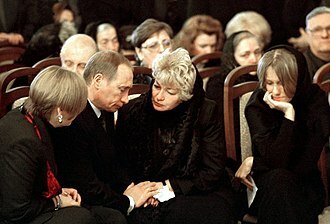 The pro-Moscow leader was killed in a bomb attack during the 2004 Victory Day parade in the Chechen capital of Grozny. Several days after Akhmad was killed, President Vladimir Putin awarded him the title. Sometime after the incident, Putin awarded Kadyrov's son, Ramzan, the same title for his work in Chechnya. All Russian cosmonauts are awarded the title of Hero of the Russian Federation following their voyage into space; some may already have earned it, for example for long service as a test pilot. Cosmonauts are also awarded the title Pilot-Cosmonaut of the Russian Federation. Some recipients of the title, such as Sergei Krikalev, had also received the Soviet hero title, along with the Order of Lenin. Most of the cosmonaut double heroes were awarded the Hero of the Soviet Union and Hero of Russia titles "for successful realization of flight and the courage and heroism shown." 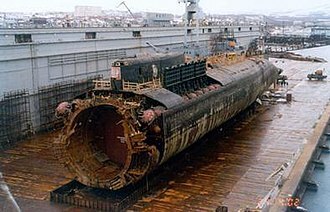 Submarine captain Gennady Lyachin, of the Kursk, which sank after an explosion in 2000. 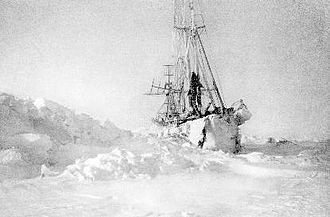 Due to his heroism during the explosion and his attempts at preserving the lives of the crew, Lyachin was posthumously awarded the title, and the members of his crew were awarded with the Order of Courage. Athlete Larisa Lazutina was presented with the title for various medals won at the 1998 Winter Olympics in Nagano, Japan. Alexander Karelin was awarded for his recognition as the greatest wrestler of all time (from antiquity to the present day). He was a Greco-Roman wrestler in the Olympics, and in his career he won 887 bouts and lost only 2 times. His losses are controversial because commentators believe they were caused by trivial rule changes, not a bona fide athletic defeat. Arktika 2007 expedition members Anatoly Sagalevich, Yevgeny Chernyaev and Artur Chilingarov, who, on January 10, 2008, performed the first ever descent to the ocean bottom at the North Pole. 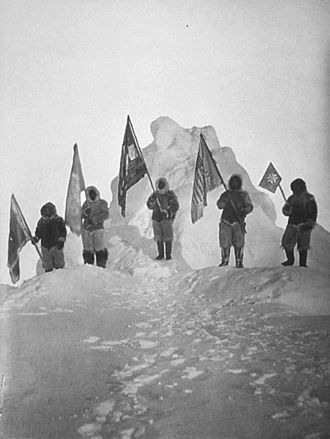 Awarded the title "for courage and heroism showed in extreme conditions and successful completion of high-latitude Arctic deep-water expedition." 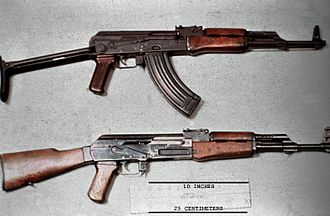 Weapons designer Mikhail T. Kalashnikov, designer of the AK-47 assault rifle and PK machine gun. He received the honor on his 90th birthday, November 10, 2009. The medal has been awarded posthumously approximately 340 times, primarily to people involved in the first and second wars in Chechnya. In 2010 a posthumous award was made by President Dmitry Medvedev to Evgeny Chernyshov, the chief of the Moscow fire department on March 24, 2010. Chernyshov died March 20, 2010 saving others' lives. In 2018 Major Roman Filipov was the pilot of a Sukhoi Su-25 ground attack aircraft shot down by Syrian militants belonging to Tahrir al-Sham using a portable air-defence (MANPAD) system. Major Filipov successfully ejected but landed in a rebel-controlled area and fought a gun battle against militants. Images posted online show that he emptied both his pistol magazines and just as the militants surrounded him, he set off a hand grenade shouting “This is for the boys!”  On the 6 February 2018 President Vladimir Putin signed an Executive order Awarding Major Roman Filipov the Title of Hero of the Russian Federation. ^ a b c "Law of the Russian Federation of March 20, 1992 No 2553-1" (in Russian). Commission under the President of the Russian Federation on state awards. December 15, 1999. Archived from the original on February 20, 2012. Retrieved February 20, 2012. ^ "Государственные награды России". Award.gov.ru. Retrieved 2015-05-20. ^ "Учреждено звание Героя Российс". Prlib.ru. Retrieved 2015-05-20. ^ "Resolution of the Central Executive Committee of the Soviet Union of May 5, 1934" (in Russian). 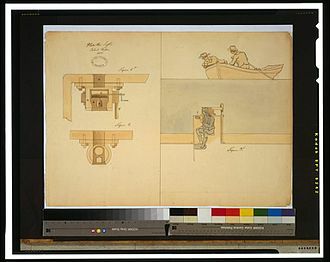 Wikisource. September 4, 2010. Retrieved 2012-02-20. ^ "Decree of the Presidium of the Supreme Soviet of the USSR of August 1, 1939" (in Russian). Wikisource. September 28, 2011. Retrieved 2012-02-20. ^ Государственные награды России: Из Конституции Российской Федерации (in Russian). Archived from the original on November 2, 2011. Retrieved 2005-09-30. ^ a b "Decree of the President of the Russian Federation of September 7, 2010 No 1099" (in Russian). Russian Gazette. September 7, 2010. Retrieved 2012-02-20. ^ a b "Statute and description of the Gold Star medal of Hero of the Russian Federation" (in Russian). Commission under the President of the Russian Federation on state awards. September 7, 2010. Retrieved 2012-02-20. ^ "Decree of the President of the Russian Federation of December 16, 2011 No 1631" (in Russian). Russian Gazette. December 16, 2011. Archived from the original on March 31, 2013. Retrieved 2012-02-20. ^ "Звание Героя Российской Федерации. Справка | РИА Новости". Ria.ru. March 20, 2012. Retrieved 2015-05-20. ^ "Kadyrov Named Hero of Russia". Archived from the original on February 11, 2005. Retrieved 2005-10-01. ^ "Cosmonaut Bio: Sergei K. Krikalev (10/2005)". Retrieved 2005-10-05. ^ Герой Советского Союза, Герой России Поляков Валерий Владимирович (in Russian). Retrieved 2005-10-05. ^ Felgenhauer, Pavel. "Drowning Reality of Kursk" (in Russian). Moscow Times. Archived from the original on October 8, 2005. Retrieved October 5, 2005. ^ "The Voice of Russia ( Olympic Games 2002 )". Archived from the original on August 31, 2005. Retrieved 2005-10-06. ^ "Summer Olympics 2000 Champion turned politician seeks fourth gold". ESPN. September 27, 2000. Retrieved 2009-03-14. ^ "Summer Olympics 2000 Karelin loses first-ever international match". ESPN. September 27, 2000. Retrieved 2011-02-09. ^ Lawlor, Frank (August 2, 1992). "Siberian Heavyweight Gives Other Wrestlers The Chills His Monster Image Also Interests Hollywood". The Philadelphia Inquirer. Archived from the original on 2014-02-08. ^ "He Was Called 'The Experiment': Nobody believed that a human being could be so strong!". Telegraf.rs. Serbia: Internet Group d.o.o. March 20, 2015. ^ "Президент России Указ "О награждении государственными наградами Российской Федерации"" (in Russian). Archived from the original on January 18, 2008. Retrieved 2008-01-10. ^ Tkachenko, Maxim (November 11, 2009). "Kalashnikov gun designer turns 90". CNN World. Retrieved 2010-08-12. On Tuesday the legendary weapons designer turned 90. 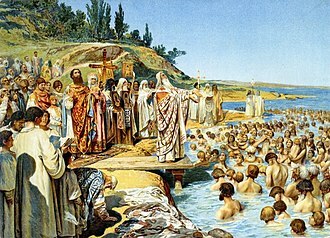 It was a day celebrated in Russia on a scale akin to a national holiday. Wikimedia Commons has media related to Heroes of Russia. Anatoly Vyacheslavovich Lebed, was a Hero of the Russian Federation, Guards Lieutenant Colonel in Special Airborne Forces, and an officer of the 45th Guards Spetsnaz Regiment. Lebed was born in the city of Valga, Estonia and he joined the Soviet Armed Forces in 1981 starting his military service in Soviet Airborne Troops. 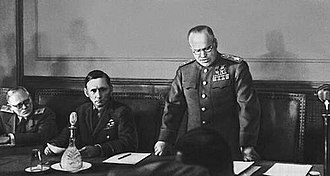 He first trained in the 44th Airborne Division in Gaižiūnai in the Lithuanian SSR, opting for a career change, he entered the Lomonosov Military Aviation Technical School graduating as a flight engineer in 1986. He served on operations in Afghanistan in 1986–87 as an aircrew member in a helicopter regiment. His service had earned him the Order For Service to the Homeland in the Armed Forces 3rd class and he retired to the reserves in 1994 and worked for the Afghan Veterans benevolent fund. He joined a group of Russian veterans who volunteered in the Kosovo War, in 1999, he went to the North Caucasus as a volunteer in the combined militias after purchasing his own equipment and flying to Makhachkala in Dagestan. In 2003, while engaged in combat in the Ulus-Kert mountains, he stepped on a mine and lost a foot. He refused to resign from the Armed Forces, his physical fitness allowed him to remain in the service, to carry on parachuting. On January 9,2005 his patrol was ambushed, refusing to let his men be captured by the enemy, he single-handedly engaged. In a subsequent battle on January 24,2005, he was injured by multiple fragment wounds in the back while shielding his men from the blast of a rocket propelled grenade. 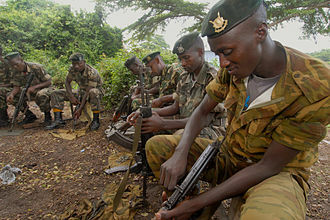 Even wounded, he neutralised the enemy rocket and machine gun post continued leading the patrol leading to the capture. He was awarded the Title of Hero of the Russian Federation on April 6,2005 by Presidential Decree citing for courage and he held the rank of captain. His actions during the 2008 South Ossetia war earned him the honour of becoming only the second Knight of the Order of St. George 4th class and he always led from the front during combat operations, always displaying the epitome of personal courage itself. Hero of Belarus is the highest title that can be bestowed on a citizen of Belarus. The title is awarded to those who perform great deeds in the name of freedom, the deed can be for military performance, economic performance or great service to the State and society. The design of the medal is similar to that of its predecessor, similar titles to the Hero of Belarus include the Russian Hero of the Russian Federation, Ukrainian Hero of Ukraine, and Uzbek Hero of Uzbekistan. Since its creation, the title has been awarded to ten people, the title was created by the Belarus Supreme Soviet on April 13,1995, with the passage of Resolution N 3726-XII, titled System of State Awards for the Republic of Belarus. Alongside the Hero of Belarus title, the resolution authorized the creation of medals, the creation of the awards was a way to honor those who have made valuable contributions to Belarus, irrespective of whether they were performed by a citizen or a foreigner. This resolution was outlawed and replaced by Law N 288-З on May 18,2004, to be considered for title, a person must perform a deed that greatly benefits the state and Belarusian society at large. The title can be awarded to serving in the military. It can only be awarded once to an individual, and can be awarded posthumously, the official criteria are stated in Chapter 2, Article 5 of Law N 288-З. Chapter 3, Article 60 of Law N 288-З allows any group of workers to submit a recommendation for an individual to be awarded the title. Governmental bodies, the National Assembly, the Council of Ministers, cabinet officials and public unions, under the Belarus Constitution, the President of the Republic has the power to bestow state awards. To announce an award, the President issues a decree conferring the title to a person, within two months, the title will be presented by the President in a formal setting, usually at the Presidential Palace in the capital city of Minsk. A certificate will be presented to the recipient, signed by the President of the Republic and these privileges are regulated by Resolution of the Supreme Council of the Republic of Belarus under February 21,1995 N 3599-XII. Boris Nikolayevich Yeltsin was a Soviet and Russian politician and the first President of the Russian Federation, serving from 1991 to 1999. Originally a supporter of Mikhail Gorbachev, Yeltsin emerged under the reforms as one of Gorbachevs most powerful political opponents. 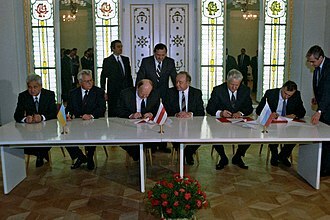 During the late 1980s, Yeltsin had been a member of the Politburo, no one had resigned from the Politburo before. 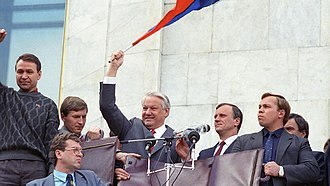 This act branded Yeltsin as a rebel and led to his rise in popularity as an anti-establishment figure, on 29 May 1990 he was elected the chairman of the Russian Supreme Soviet. However, Yeltsin never recovered his popularity after a series of economic. He vowed to transform Russias socialist economy into a capitalist market economy and implemented economic shock therapy, price liberalization, due to the sudden total economic shift, a majority of the national property and wealth fell into the hands of a small number of oligarchs. The well-off millionaire and billionaire oligarchs likened themselves to 19th century robber barons, in October 1993, troops loyal to Yeltsin stopped an armed uprising outside of the parliament building, leading to a number of deaths. Yeltsin scrapped the existing Russian constitution, banned political opposition, on 31 December 1999, under enormous internal pressure, Yeltsin announced his resignation, leaving the presidency in the hands of his chosen successor, then-Prime Minister Vladimir Putin. 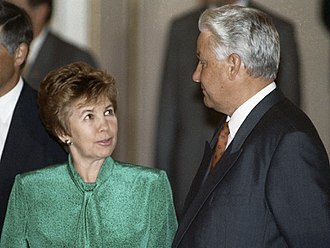 Yeltsin left office widely unpopular with the Russian population, Yeltsin kept a low profile after his resignation, though he did occasionally publicly criticise his successor. Yeltsin died of heart failure on 23 April 2007. Boris Yeltsin was born in the village of Butka, Talitsky District, Sverdlovsk, USSR, growing up in rural Sverdlovsk, he studied at the Ural State Technical University, and began his career in the construction industry. In 1934 Nikolai Yeltsin was convicted of anti-Soviet agitation and sentenced to hard labour in a gulag for three years, Nikolai remained unemployed for a period of time and worked again in construction. His mother, Klavdiya Vasilyevna Yeltsina, worked as a seamstress, Boris studied at Pushkin High School in Berezniki. Greco-Roman or Graeco-Roman wrestling is a style of wrestling that is practiced worldwide. It was contested at the first modern Olympic Games in 1896 and has included in every edition of the summer Olympics held since 1908. Two wrestlers are scored for their performance in two periods, which can be terminated early by a pin. This style of wrestling forbids holds below the waist, this is the difference from freestyle wrestling. This restriction results in an emphasis on throws because a wrestler cannot use trips to take an opponent to the ground, arm drags, bear hugs, and headlocks, which can be found in Freestyle, have even greater prominence in Greco-Roman. Even on the mat, a Greco-Roman wrestler must still find ways to turn his opponents shoulders to the mat for a fall without legs, including techniques known as the bodylock. According to United World Wrestling, Greco-Roman wrestling is one of the six forms of amateur competitive wrestling practised internationally today. The other five forms are Freestyle wrestling, Grappling/Submission wrestling, Beach wrestling, Pankration athlima, Alysh/Belt wrestling, in February 2013, the International Olympic Committee voted to exclude freestyle and Greco-Roman wrestling from the 2020 Summer Olympic Games, but shortlisted it to be considered for reinclusion. In September 2013, at the 125th Session of the International Olympic Committee and it is speculated that many styles of European folk wrestling may have spurred the origins of Greco-Roman wrestling. According to United World Wrestling, a Napoleonic soldier named Jean Exbrayat first developed the style, Exbrayat performed in fairs and called his style of wrestling flat hand wrestling to distinguish it from other forms of hand-to-hand combat that allowed striking. In 1848, Exbrayat established the rule that no holds below the waist were to be allowed, flat hand wrestling or French wrestling developed all throughout Europe and became a popular sport. The Italian wrestler Basilio Bartoletti first coined the term Greco-Roman for the sport to underline the interest in ancient values, many others in the 18th and 20th centuries sought to add value to their contemporary athletic practices by finding some connections with ancient counterparts. The 18th century work Gymnastics for Youth by Johann Friedrich Guts Muths described a form of schoolboy wrestling called orthopale that did not mention any lower-body holds, real ancient wrestling was quite different, see Greek wrestling. Grozny is the capital city of the Chechen Republic, Russia. The city lies on the Sunzha River, according to the 2010 Census, it had a population of 271,573, up from 210,720 recorded in the 2002 Census, but still only about two-thirds of 399,688 recorded in the 1989 Census. 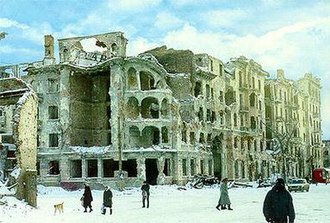 In Russian, Grozny means fearsome, or redoubtable, the word as in Ivan Grozny or Ivan the Terrible. 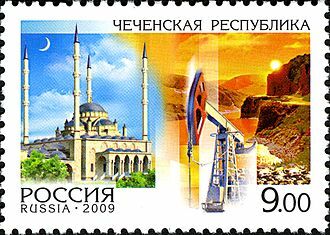 While the official name in Chechen is the same, informally the city is known as Соьлжа-Гӏала, Sölƶa-Ġala, which literally means the city on the Sunzha River. 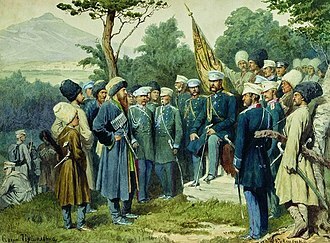 In December 2005, the Chechen parliament voted to rename the city Akhmadkala —a proposition which was rejected by his son Ramzan Kadyrov, the fortress of Groznaya was founded in 1818 as a Russian military outpost on the Sunzha River by general Aleksey Petrovich Yermolov. As the fort was being built the workers were fired upon by the Chechens, the Russians solved the problem by placing a cannon at a carefully chosen point outside the walls. When night fell and the Chechens came out of their places to drag the gun away all the other guns opened up with grapeshot. When the Chechens recovered their senses and began to carry away the bodies the guns fired again, when it was over 200 dead were counted. 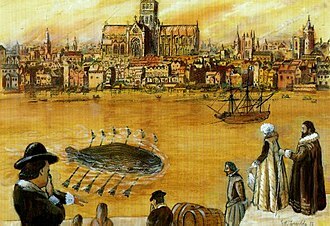 Thus did the fort receive its baptism of fire. It was a prominent defense center during the Caucasian War, after the annexation of the region by the Russian Empire, the military use of the old fortress was obsolete and in December 1869 it was renamed Grozny and granted town status. As most of the residents there were Terek Cossacks, the town grew slowly until the development of oil reserves in the early 20th century and this encouraged the rapid development of industry and petrochemical production. In addition to the oil drilled in the city itself, the city became a center of Russias network of oil fields. The result was the population almost doubled from 15,600 in 1897 to 30,400 in 1913, one day after the October Revolution, on November 8,1917, the Bolsheviks headed by N. Anisimov seized Grozny. As the Russian Civil War escalated, the Proletariat formed the 12th Red Army, with the arrival of Denikins armies, the Bolsheviks were forced to withdraw and Grozny was captured on February 4,1919 by the White Army. The Gold Star medal is a special insignia that identifies recipients of the title Hero in the Soviet Union and some of its allies, and several post-Soviet states. The Gold Star was established by the decree of the Presidium of the Supreme Soviet on August 1,1939, previously, a Hero of the Soviet Union was awarded the Order of Lenin and a special diploma describing the heroic feat. The medal was introduced to distinguish these heroes from other Order of Lenin recipients, the Gold Star was not normally issued for posthumous awards of the title Hero of the Soviet Union. The Soviet medal is a gold star hanging from a suspension device with a red ribbon. It is worn on the side of the chest above all other orders. Although it is described as a medal, it is actually a distinctive badge, worn apart and above any other orders and medals and their associated badges derive from the Soviet medal design, replacing red with the color of the issuing state. An example is one who receives and Commendation Metal in one battle will receive a Gold Star if the soldier receives the same Commendation Metal in a different battle. Ramzan Akhmadovich Kadyrov is the Head of the Chechen Republic and a former member of the Chechen independence movement. He is the son of former Chechen President Akhmad Kadyrov, who was assassinated in May 2004, in February 2007, Kadyrov replaced Alu Alkhanov as President, shortly after he had turned 30, which is the minimum age for the post. He was engaged in violent power struggles with Chechen government warlords Sulim Yamadayev and Said-Magomed Kakiev for overall military authority, Ramzan Kadyrov is an honorary member of the Russian Academy of Natural Sciences. He founded the Akhmat Fight Club and established annual freestyle wrestling international tournament Ramzan Kadyrov & Adlan Varayev Cup, since November 2015 he is a member of the Advisory Commission of the State Council of the Russian Federation He was born in Tsentaroy, RSFSR, USSR. He was the son in Akhmat and Aimani Kadyrovs family. He had a brother called Zelimkhan and he has two elder sisters Zargan and Zulay. Kadyrov strove to gain the respect of his father Akhmad Kadyrov and he claims that he always emulated his father. He enjoys boxing and once met former heavyweight boxing champion Mike Tyson. In the early 1990s, as the Soviet Union dissolved, the Chechens launched a bid for independence, during the First Chechen War, together with his father, he fought against Russian armed forces. After the war, Ramzan was the driver and bodyguard of his father Akhmad. 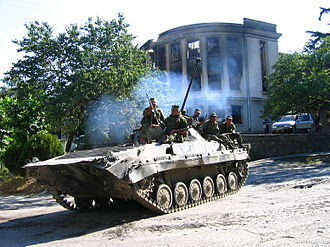 The Kadyrovtsy were formed during the First Chechen War when Akhmad Kadyrov launched the jihad against Russia, the Kadyrov clan defected to the Moscow side at the beginning of the Second Chechen War in 1999. Since then, Kadyrov led his militia with support from Russias FSB state security service becoming the head of the Chechen Presidential Security Service, the militia became known as the Kadyrovites. He was falsely rumoured to have died of a wound inflicted by his bodyguard on 28 April 2004. After his father, was assassinated on 9 May 2004, when his sister was detained by the Dagestan police in January 2005, Ramzan and some 150 armed men drove to the Khasavyurt City Police building. Sergei Konstantinovich Krikalev is a Russian cosmonaut and mechanical engineer. He retired from spaceflight in 2007 and is working as vice president of Space Corporation Energia. Krikalev was born in Leningrad, Russia and he enjoys swimming, cycling, aerobatic flying, and amateur radio operations, particularly from space. He graduated from school in 1975. In 1981, he received an engineering degree from the Leningrad Mechanical Institute. After graduation in 1981, he joined NPO Energia, the Russian industrial organization responsible for manned space flight activities and he tested space flight equipment, developed space operations methods, and participated in ground control operations. When the Salyut 7 space station failed in 1985, he worked on the mission team, developing procedures for docking with the uncontrolled station. Krikalev was selected as a cosmonaut in 1985, completed his training in 1986. 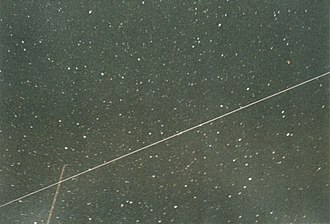 In early 1988, he began training for his first long-duration flight aboard the Mir space station and this training included preparations for at least six EVAs, installation of a new module, the first test of the new Manned Maneuvering Unit, and the second joint Soviet-French science mission. Soyuz TM-7 was launched on November 26,1988, with Krikalev as flight engineer, Commander Alexander Volkov, the previous crew remained on Mir for another 25 days, marking the longest period a six-person crew had been in orbit. 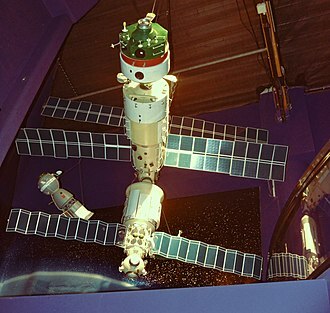 After the previous crew returned to Earth, Polyakov, because arrival of the next crew had been delayed, they prepared the Mir for a period of unmanned operations before returning to Earth on April 27,1989. In December 1990, Krikalev began training for the ninth Mir mission which included training for ten EVAs, Soyuz TM-12 launched on May 19,1991, with Krikalev as flight engineer, Commander Anatoly Artsebarsky, and British astronaut Helen Sharman. 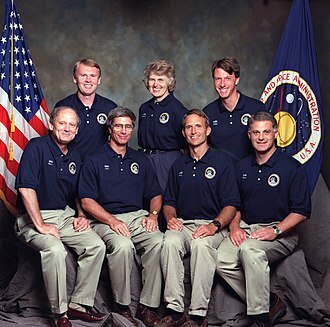 Sharman returned to Earth with the crew after one week, while Krikalev. During the summer, they conducted six EVAs to perform a variety of experiments, in July 1991, Krikalev agreed to stay on Mir as flight engineer for the next crew, scheduled to arrive in October because the next two planned flights had been reduced to one. President Poroshenko handing the medal of Hero of Ukraine and the Order of the State to Filaret. 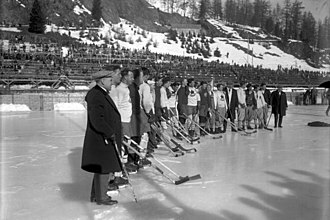 The decision to give the award to Stepan Bandera was met with controversy, and it was later revoked. From left to right: President Alu Alkhanov, Russian President Vladimir Putin, and Kadyrov at the first session of the Chechen Parliament in December 2005. Expedition 11 Commander Sergei Krikalev dons a training space suit. 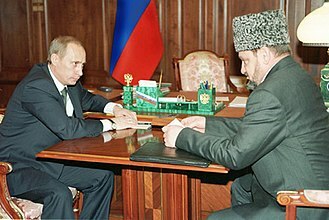 Akhmad Kadyrov and Vladimir Putin. 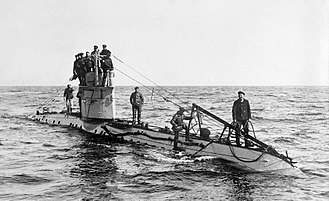 The British deep submersible rescue vehicle LR5. The sail of Kursk was rescued from a scrapyard and turned into a memorial Church of the Saviour on Waters in Murmansk. It is dedicated to the men who died aboard the sub: "To the submariners, who died in peacetime". Vladimir Putin awarding Chilingarov the Hero of Russia star.